backpack from a family member’s list this Christmas season! 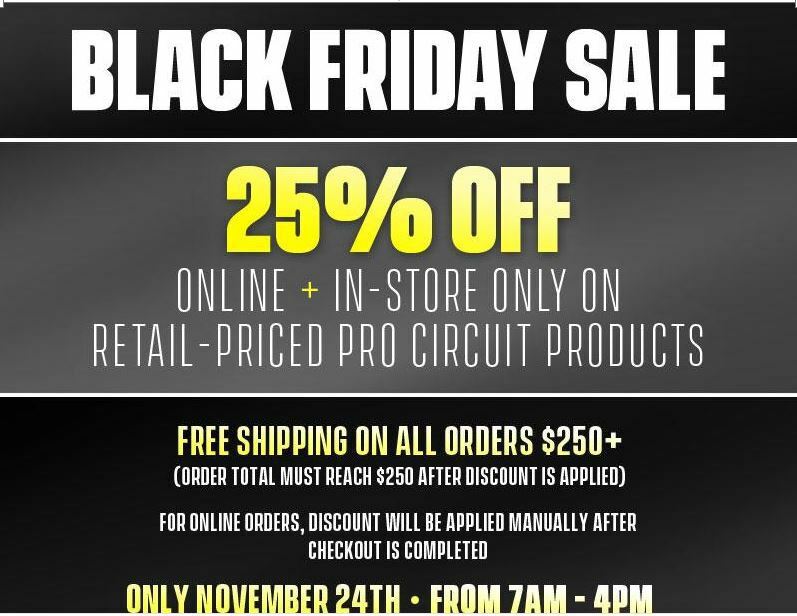 ​Please visit www.procircuit.com for information on Pro Circuit products. claims as to the products effectiveness on modified machines. Pro Circuit Products, Inc. is the sole determiner of abuse, misuse, installation errors and modifications. specifications, product descriptions, product quality, pricing and model applications at any time without prior oral or written notice and without further obligation. for any and all damage caused to themselves, a third party and/or property by virtue of failure of these products. By installing and/or using a Pro Circuit Products, Inc.
product, you hereby accept and understand these stated terms and conditions.